Christine was working with us at Copenhagenize Consulting for a month or so. She's from Seattle and is heading home after wrapping up her fellowship here in Copenhagen. She travelled the world looking at bicycle friendly cities and countries and was a brilliant addition to the Cycle Chic / Copenhagenize team. She'll be sorely missed. 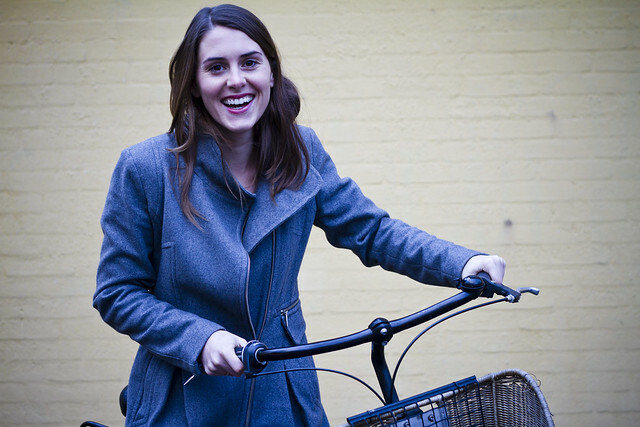 Check out her blog - Shift - for bicycle-related goodness. Hope you're having fun in Canada! First few minutes back at the office and we already wish you were here. good luck with the rest of your travels and talk to you soon!